Tears to bear wouldn’t you return ah! my sensations. 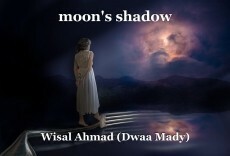 © Copyright 2019 Wisal Ahmad (Dwaa Mady). All rights reserved. This page was created in 0.3721 seconds.